The CM Storm Havoc laser gaming mouse was designed with extreme precision in mind, capable of a blistering 8,200 DPI that allows you to control the chaos at light speed. 8 programmable buttons, RGB color options, and 128KB of onboard memory enable a fully customizable advantage. All buttons are equipped with Japanese Omron micro switches that are capable of over 5 million clicks, meaning your razor sharp actions will outlast even the toughest opponents. 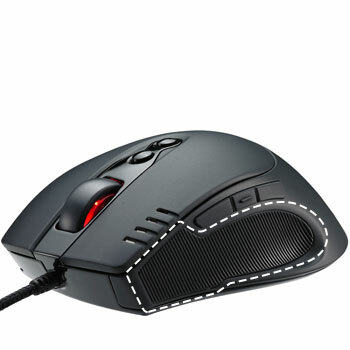 The CM Storm Havoc MMO laser gaming mouse was designed with extreme precision, speed, and functionality in mind. Capable of a blistering 8200 DPI, Havoc allows you to quickly react to any chaotic gaming scenario. The 8 programmable buttons on Havoc include CM Storm's unique Multiplier Key that allows for even more button outputs, perfect for swift execution of assigned commands. Store your settings locally on the 128 KB of onboard memory. Finally, overpower and outlast your opponents with an unmatched ergonomic design and Japanese-made Omron Micro Switches that are capable of at least 5 million clicks. Havoc features a specially designed Multiplier Key that when held down, enables secondary assignments for the 8 programmable buttons. 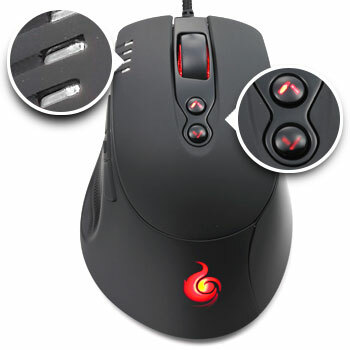 With 16 possible button outputs for macros and scripts, Havoc is a perfect addition to any MMO gamer's arsenal. Quickly cycle between assigned DPI settings for faster or slower cursor speeds without ever leaving the game. Havoc's high performance laser sensor can be adjusted to operate at 100-8200 DPI. With 3 multicolor LED zones, you are free to customize Havoc however you like. Match the color of your system or set different colors for various profiles. The brightness and color of each zone can be changed or simply disabled to your liking. 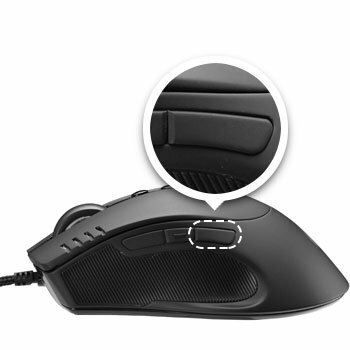 A smooth rubber coating and uniquely textured side grip helps you hang onto your mouse as you swipe and glide your way to victory. 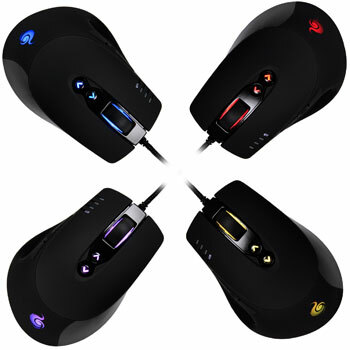 Which CM Storm Gaming Mouse is Right for You?